When I received my undergraduate course catalog the summer before my freshman year at Yale University, the one class that I knew for certain I needed to take was on the history of the Vietnam War. It was the closest thing I could find to help me understand why family came to the United States. I was certain that one of the most esteemed History departments in the country must have the answers to validate my family’s struggles. When I finally arrived in New Haven, I sat in the front of the lecture hall, determined not to miss a single detail of what I felt would be the most important course in my education up to that point. The teaching assistant began the class by handing out the syllabus, which I hastily ripped through as if I were opening a Christmas present. There it was, an entire lecture devoted to Laos, the Secret War and the Ho Chi Minh Trail. With excitement, I told the professor that I was Laotian and eager to learn as much as possible from his course. Although the professor actually apologized for not allocating more time to Laos, I remained enthusiastic. The course reading list included works by Grant Evans, Stanley Karnow, Neil Sheehan and other highly regarded researchers, who each devoted several chapters exclusively to the role that Laos played in recent history. I felt like a thirsty long distance runner being handed a large cup of ice water, at last. This was 1995. While I was happy with my general education in Southeast Asian history, I was never entirely satisfied with what I learned about Laos. I continued to keep an interest in developments in Laos through family and various news media outlets. It was just before my first trip to Laos in 2007 that I learned of a memoir detailing one man’s personal experience inside communist Laos. I originally thought to bring the book with me to read on the trip, but later realized I was better off not doing so. If my course at Yale was like a cup of water, Bounsang Khamkeo’s book, “I Little Slave” should be compared to a waterfall. Written in a true refugee voice, it is the sort of book that would have caused the Lao PDR border officials to think twice about letting me through. Bounsang Khamkeo’s “I Little Slave” is important for several reasons. Firstly, he presents to a wide English-reading audience a rare first hand account of what really happened inside the enigmatic Lao government in the 1970s and 1980s. Secondly, his intellectual training enables him to significantly place his personal experiences in a broader historical context. Finally, his survival and continued optimism serves as inspiration to future generations to carry on the work for justice, democracy, dignity, and human rights in Laos. Bounsang was born in Laos and spent most of his youth growing up in the southern city of Pakse. His parents were fortunate to have the means to educate him in French schools, including sending him to France for higher education. He returned to Laos with a Ph.D. in Political Science from the University of Toulouse and, like many proud young students of his generation, was eager to put his education to work in the service of the country of his birth. He joined the ranks of the Laotian civil service in the country’s capital of Vientiane, quickly rising through the ranks – praised and promoted for his intelligence and abilities. 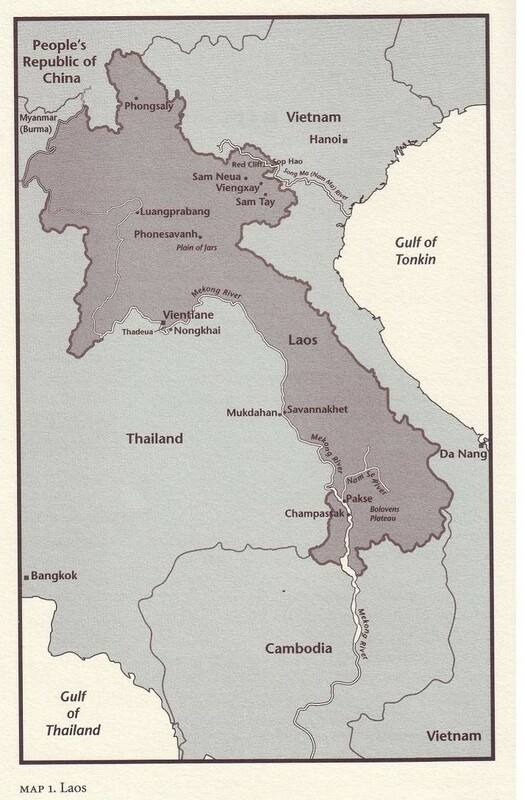 To the outside world, Laos was a neutral country working out its political differences through coalitions and negotiated agreements. Bounsang worked for important political figures, who assured him this was the case. However, he did not need classified clearance to figure out that, internally, Laos was a country in the middle of a bloody civil war. 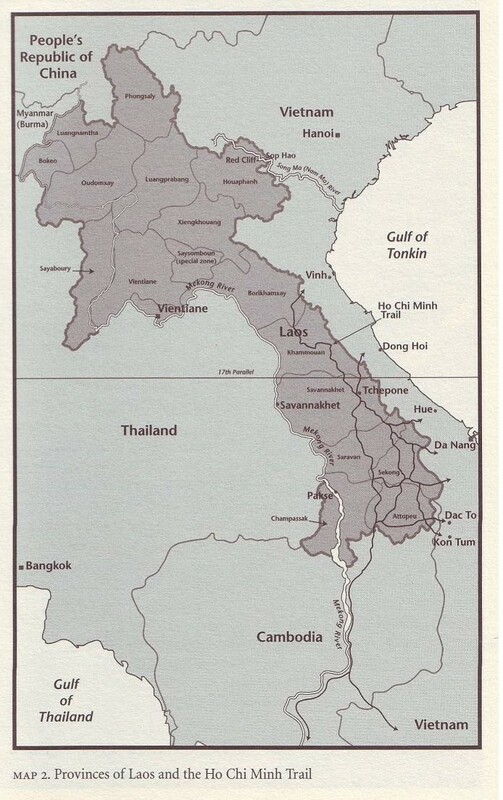 While the Royal Lao government maintained control of the city centers, it only took a short trip into the outlying provinces to discover that the communist Pathet Lao forces were quickly seizing control of the countryside and waiting for the optimal time to take complete control of the country. Fearing the worst, Bounsang’s father began to sell his property and prepared to leave the county, desperately urging Bounsang to follow him. When the dominoes fell in South Vietnam in 1975, the Pathet Lao took over Vientiane and refugees poured over the border into neighboring Thailand. Bounsang chose to remain behind, reluctant to abandon the homeland to which he only recently returned. With an educational background in political history, he understood that the country’s royal legacy was obsolete and he deeply desired to make a contribution to the country’s new goals for a democratic society. Almost overnight, symbols of the now obsolete monarchy were seized and destroyed. The three headed elephant was banned from all government stationary and references to the royal family was shunned. No longer would there be distinction between rank and class. The traditional hierarchical term for “Ka-Noi” (literally “Little Slave”) meaning “I” would be eliminated because there would no longer be masters and subservients. All people would be equals, referring to one another by the egalitarian “Sa-Hai” (Comrade) or “Ai / Nong” (Brother). Bounsang was encouraged by the new leaders to continue his work: representing government interests to foreign diplomats, working closely with socialist countries and even traveling overseas to promote development programs. Although the ideological transition had some initial setbacks, Bounsang felt confident that, overall, the country would change some day in the future. As with all tightly woven illusions, the seams of the ideal people’s revolution eventually began to reveal itself. Bounsang soon became acutely aware of the hypocrisy surrounding him. It did not take much effort for him to lift the veil of democracy which masked the injustice commited by the bureaucratic elite. He witnessed poverty and destitution among the common people which were brought on by failed agrarian policies instituted by incompetent party cadres who earned their positions through following the party line and arranging personal favors. He saw high ranking generals and government leaders indulging in foreign goods and luxuries, which were unattainable by ordinary people because the leaders themselves had outlawed them. When the inequities became too apparent to conceal, dissenters were swiftly ushered away to be “re-educated”. For failing to comply with the orders of his corrupt superior, Bounsang was arrested and sent to so called “re-education” which would take him seven years and four months to complete. One of the most important aspects of “I Little Slave” is Bounsang’s vivid depiction of his experience in the prison camps, which was officially referred to by the deceptive euphemism “Seminar”. Family and friends were denied access to the prison camps. Bounsang relates that, “the prison authorities instructed the prisoners that in communist Laos prisoners had the party as their father and the government as their mother to take care of them, so prisoners did not need family!” Food, clothing and even letters intended for detainees were permanently seized by officials. They were not only robbed of their rights, but also stripped of the very dignity that the revolution so boldly promised. Placed in shackles and forced to kneel, Bounsang was to refer to himself again as “Ka-Noi” to the prison guard Masters. Concealed from the rest of the country and ignored by the outside world, Bounsang and hundreds of other Laotian prisoners of conscience struggled under destitute conditions, lingering for years without civil procedure or a just trial. He points out that, while many Laotians have been encouraged to returned from exile abroad, too many have been deceived into investing in fraudulent schemes or fall victim to extortion by government officials at all levels. Real change is needed, he insists: “Laos must be a true democracy with free and fair elections, with participation of other parties. The current leadership must allow patriotic individuals who are morally principled, appropriately qualified and suitably educated the opportunity to make desperately needed reforms.” With increased foreign influence and tourism in Laos, it is becoming increasingly important for the political climate to change in order for the country to retain its sovereign character. It is no doubt a heavy burden that he places on the shoulders of our generation, but it is hopefully a bearable load when compared to the weight of the past. Dr. Bounsang Khamkeo originally drafted “I Little Slave” in French and intended to publish it in France soon after its completion, then later decided to have it translated into English. He explained that, “This country [USA] has given my family and I a place to live in peace, so I want to give back to America.” English was a new language to him when he arrived in the United States, but with the help of English as Second Language teachers, he was able to learn the language quickly. He is presently a university lecturer and travels throughout the country to share his story. In April 2009 he presented and discussed his book at Harvard University. “I Little Slave” is available from Amazon.com, Barnes & Nobles and several bookstores online. The book is currently rated five stars by Amazon members, which is not only an honor for Dr. Bounsang, but a great source of pride for many Laotians. He also reads his book out loud in Lao, in weekly broadcasts on Radio Free Asia. The book is being translated into written Lao by a fellow refugee for potential distribution worldwide, with hopes of reaching out to the people who may not have a full picture of their country’s past and who cannot read English.